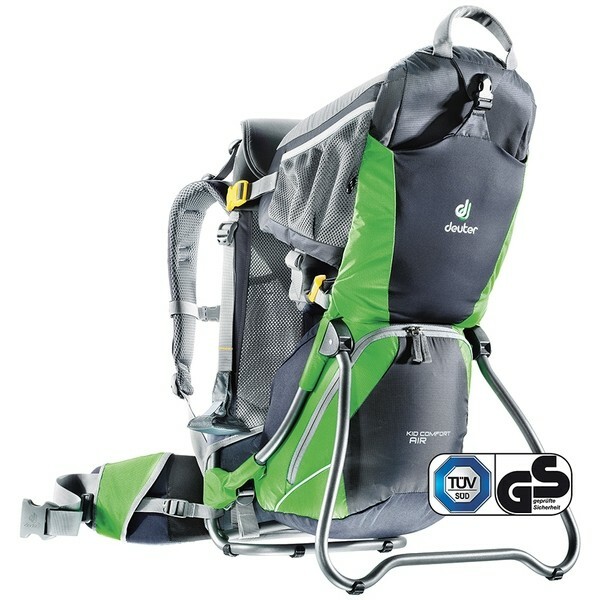 Deuter has channelled all its expertise and detailed research into this airy child carrier! Maximum ventilation for the wearer is guaranteed by the proven Aircomfort back system while the kids enjoy the air-conditioning provided by the mesh material on the sides of the cockpit. The high quality carrying system is super easy to match to the wearers individual back with a stepped back length adjustment and the height of the childs seat is easily adjustable as well. The stable frame construction ensures a safe stand when loading the child. With side access the kids can also climb in and out of the seat independently.